BNP Paribas in Japan mobilises its staff in a range of voluntary and fundraising programmes. Organised by the bank’s CSR Committee, employees can take part in them while they can also propose and carry out new initiatives. BNP Paribas is a supporter of the FIT for Charity Run. 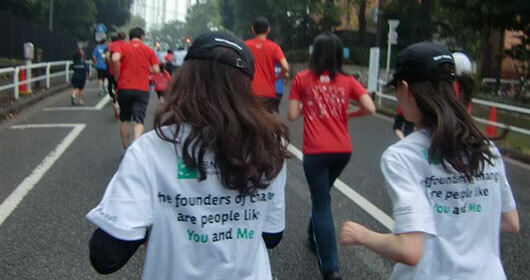 Established in 2005, the Financial Industry in Tokyo (FIT) For Charity Run is organised by individuals in the financial and related industries in Tokyo to bring the industry together and make a difference in the community. FIT For Charity is an expression of the financial industry’s collective commitment to making a positive contribution to the community, fostering teamwork within firms and building relationships across the industry. Every year, hundreds of BNP Paribas staff volunteered in the event. FIT For Charity raises funds for local community organisations that serve important needs that aren’t necessarily well recognised. On average, the event raises and donates over 50 million yen to a number of charities. 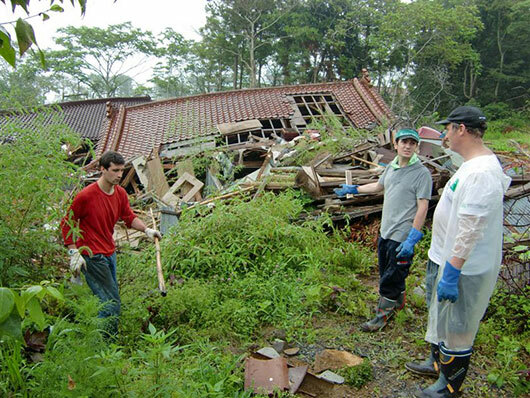 The BNP Paribas Group continues to be active in the Tohoku region following the Great East Japan Earthquake in March 2011. In addition to corporate and staff donations, BNP Paribas in Japan continues to organise different programmes which aim to help the affected region. The Tohoku region is the north eastern area of Japan most heavily affected by the March 2011 earthquake and tsunami. Staff of BNP Paribas have organised a range of relief and fund-raising programmes which contribute to rebuilding of the region. The Help2Help programme provides encouragement to BNP Paribas’ staff who dedicate their time and energy on a voluntary basis to help others through social initiatives and charitable actions. The programme provides grants to support projects that staff are involved in at a personal level and is open to all Asia-Pacific staff. Two projects from the Tokyo office have received grants via the Help2Help programme. The Help2Help programme helped support the Nadia Football Festival held in May 2015 – a football tournament organised to provide kids from the Tohoku region a chance to play against international kids in a Tokyo-based tournament. “Nadia” is an international volunteer group that was established for the March 2011 Great East Japan earthquake relief. Over time, as the communities slowly started to re-organise, the priority for Nadia shifted from relief efforts to accelerating the return to a normal environment for daily life with a special emphasis on children. The football festival gave elementary school children from Tohoku the chance to spend a weekend in Tokyo and develop international friendships whilst having fun on, and off the field. Every year, BNP Paribas Japan supports regular educational visits to the offices of BNP Paribas in Tokyo for local school students. The purpose of this initiative is to build awareness and understanding on the role that financial institutions play in society. Organised by the Japan Philanthropy Committee at BNP Paribas in Japan, practical workshops and business presentations take place during a first visit. As part of their social studies curriculum, students are then asked to prepare and present a research project during a second visit to the offices. Employees engaged in this project have open discussions with students and teachers on their findings. This initiative seeks to help students meet professionals and learn about the diverse functions of international financial institutions in order to gain deeper insight on the finance industry.